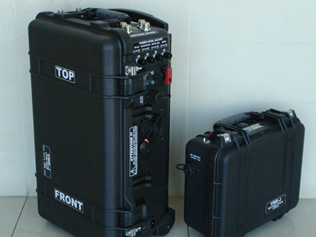 SESP offers a complete line of four portable/tactical jammer systems, each supplied in a trolley-type attaché case. The various models offer a range of different jamming options and power sources. 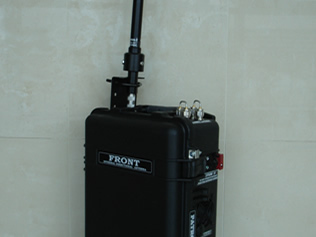 Infantry units, military security forces, SWAT teams, bomb squads, anti-terror units, anti-drug units, riot control teams, checkpoint personnel, hostage negotiators and border control agents are prime examples of the types of law enforcement personnel who benefit greatly from the deployment of any of these best-in-class portable RF jamming solutions. 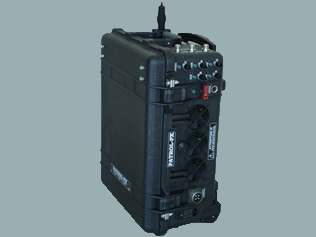 The fully-portable PATROL-PX multi-band jammer is supplied in a sturdy trolley-type attaché case for high mobility and reliability. Each unit can be configured to jam up to six frequency bands simultaneously, with 300 watts of maximum total RF output power. The jammer can operate either with its specially designed 8dBi internal directional (planar) high-gain antenna, or using optional 8dBi or 14dBi external omni-directional high-gain antennas, depending on the usage requirements. The PATROL-PX is especially easy to install and operate: simply attach the selected antennas and activate the desired frequency bands. All operating controls and LED indicators are externally installed. The unit operates from internal batteries, or can draw power from AC mains or a suitable DC power source. A "smart active" cooling system enables unlimited continuous use. The system utilizes a fully-protected circuit in case of antenna disconnection. Optional multi-level potentiometers allow real-time adjustment of RF output power for each frequency band independently. 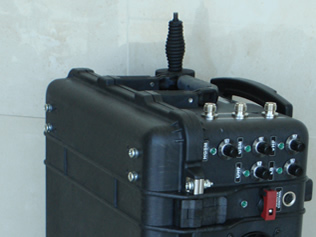 The fully-portable PATROL-TX multi-band jammer can be configured to jam up to three frequency bands simultaneously, with 300 watts of maximum total RF output power. The unit is supplied in a sturdy trolley-type attaché case for high mobility and reliability. The PATROL-TX is especially easy to install and operate: simply attach the selected antennas and activate the desired frequency bands. All operating controls and LED indicators are externally installed. The unit operates from internal batteries, or can draw power from AC mains or a suitable DC power source. A “smart active” cooling system enables unlimited continuous use. The system utilizes a fully-protected circuit in case of antenna disconnection. 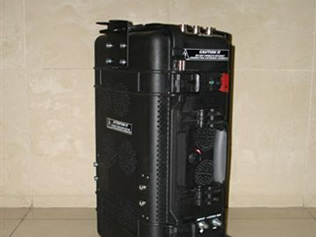 The PATROL-BJX VHF/UHF jammer was designed especially for SWAT teams, military security forces, bomb disposal squads and other anti-terror security personnel. 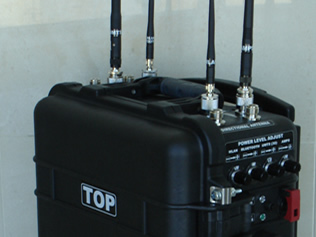 The fully-portable unit has total RF output power of 300 watts and simultaneously jams the most commonly used VHF/UHF communication bands in the world, including walky-talky, garage door remote controls, remote-controlled toys, car alarm systems and home-made radio transmitters. The PATROL-BJX is supplied in a sturdy trolley-type attaché case for high mobility and reliability, and is especially fast to deploy and operate: simply attach the external antennas and activate the jammer. The unit operates from internal batteries, or can draw power from AC mains or a suitable DC power source. A “smart active” cooling system enables unlimited continuous use. 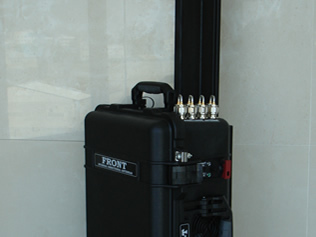 The fully-portable PATROL-T multi-band mobile phone jammer is supplied in a sturdy trolley-type attaché case for high mobility and reliability. 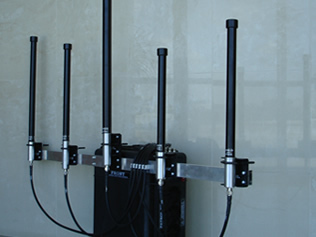 Each unit can be configured to jam up to four cellular or satellite mobile phone frequency bands simultaneously, and has 60 watts of maximum total RF output power. The PATROL-T is especially easy to install and operate: simply attach the selected antennas and activate the desired frequency bands. All operating controls and LED indicators are externally installed. 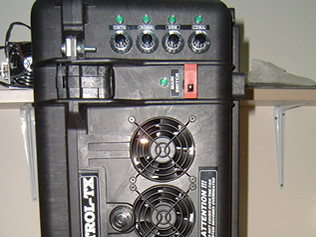 The unit operates from internal batteries, or can draw power from AC mains or a suitable DC power source. A “smart active” cooling system enables unlimited continuous use. 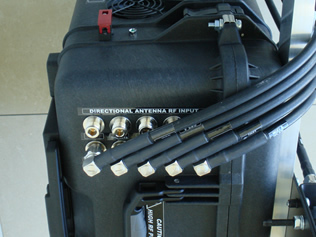 The system utilizes a fully-protected circuit in case of antenna disconnection. Optional multi-level potentiometers allow real-time adjustment of RF output power for each frequency band independently.